Always dreamed of going to the Yukon? It's time to make that dream come true! You will rise from rich coastal rain forest to the spectacular views of the Tormented Valley nestled at the summit in between snow capped mountains and glacier fed lakes. Take full advantage of the stunning photo opportunities that await as you journey from sea level to above 3000 feet in elevation, past pristine waterfalls, prodigious valleys and towering mountains, and a astounding view from the 'Welcome to Alaska’ sign before traveling into Canada. 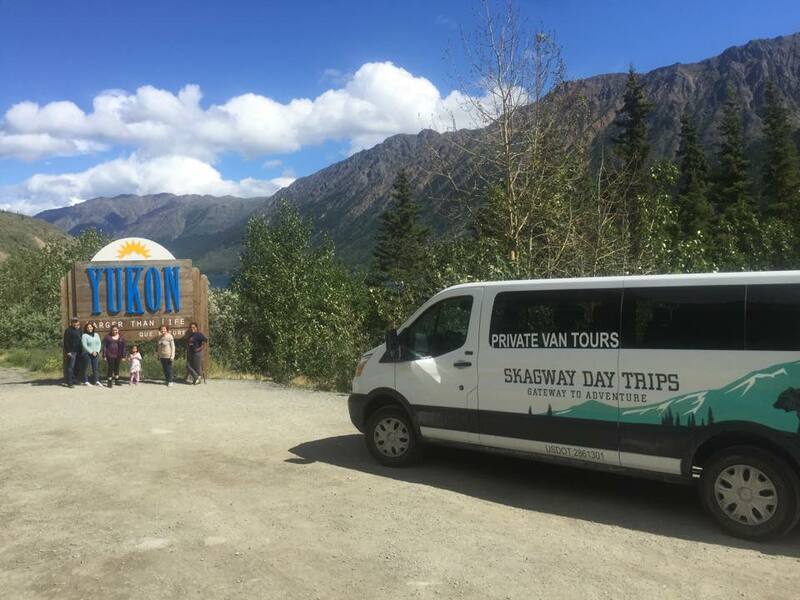 Stop for a great photo opportunity at the "Welcome to the Yukon" sign on the Edge of stunning Tutshi Lake! A tour into the Yukon gives you great opportunities to look for wildlife grazing on the road side. Keep an eye out for Black Bear, Grizzly Bears, Caribou, Moose, Lynx, Rabbits and Sheep on this incredible tour into Canada and back. Please note, although there is a good chance to see Wild Life, we cannot guarantee sightings as we are looking for wild animals.